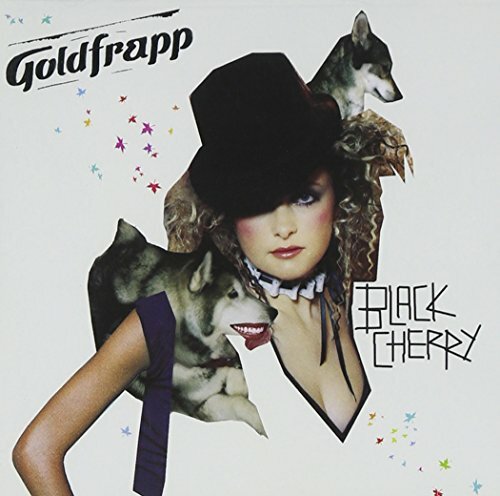 Neither this post or what it discusses could get much more obvious – Goldfrapp’s intention to clearly signpost their musical development via the quasi-visual accompaniment of the cd sleeve and its contents. The cover fonts: the angular scrawl of Black Cherry (this is cookie-cut electro!) or supra futuristic Supernature typeface, versus the embellished seven-ties serifs of Seventh Tree. 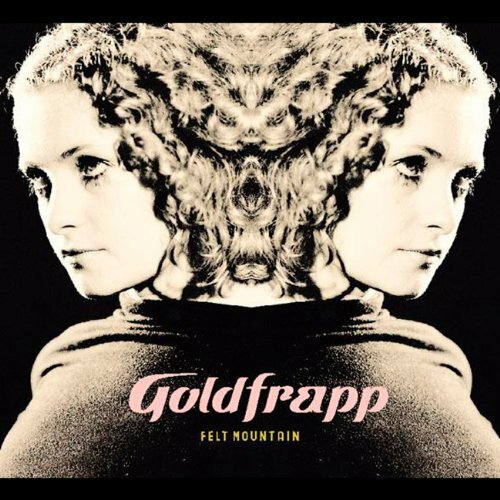 The cover portrait of Alison: strange how the very orientation of her figure shifts its axis through her discography, from the deflected mirror of Felt Mountain (inner? At the very least opaque), the blunt come-on of Black Cherry (not to add the pin-up found inside, both wilfully describing the music’s stance), moving back to the side for Supernature (and yet still suggesting a kind of attainable secret, a covering up that is itself an invitation) and then finally to the coy submission of Seventh Tree, with the figure back towards us craning her head, as if the camera had caught her offguard, vulnerable and lost (not the pirate’s hat and cravat – incongruous fantasy or juxtaposed innocent play?). I suppose one could of course suggest Alison’s poses are never more than just that – roles to be taken up and discarded at will, yet it’s still interesting the shift registered here. The animal meets (wo)man motif: common to Black Cherry, Supernature and Seventh Tree, and yet manifest in different ways. Whereas Black Cherry irreverently cuts up sexualised fragments of Alison with that of wolves heads/bodies (suggesting a feminine animality that more or less theorises (and parodies) itself), Supernature is slightly more sophisticated, drawing a peacock’s tail out of Alison’s bottom-half (still suggesting performance, pose). Seventh Tree taps back into a second-wave feminist ‘union with nature’ type thing that the other two albums’ artwork both suggested and deftly disavowed. The 'pin-up' in this latest release is one of the clown Alison being embraced from behind by a sort of giant flower owl, taught how to fly perhaps, or at least return to the flesh of the world after her gritty, urban flight from it for two previous albums. "Come back to the folky (myth-ridden) pastoral", it beckens with open arms, and the music is only too willing to do so. Will Gregory’s costume party: Black Cherry had musician/arranger Gregory hilariously donning sharp black shades, black/white striped top and black suit, a kind of electro captain or something. Intentions are again hilariously clear and different on Seventh Tree, with a bust photo of the man, presented in the grain of a slightly over-exposed film print, sporting semi-rimmed eye glasses and the folk rocker requisite moustache and dorky suit. Their trip into the fields of the Seventh Tree can easily be seen as a playful retreat, and as such I suppose you’re forewarned against accepting its finality.